As a Christian Motivational Speaker and Personal Development Speaker my passion is to empower and equip others to grow in critical life areas. I understand the challenge of finding just the speaker for your event. After having spent 2 decades speaking at hundreds of events, I realized that the success of an event came down to the quality of the speakers. If they were able to meet people where they are and take them to a new level, then the meeting was a success. 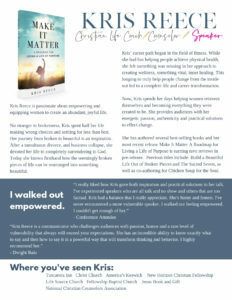 My hope is to bring that value to your speaking event. My speaking career is both broad and specific. I speak to people who are struggling, those who want more out of life. Whether you are a corporation, an association or a Christian organization, my messages are designed to bring hope and practical solutions to your attendees. For more information about topics that best suit your needs, scroll below, but first, let me say Thank you for considering me for your event. I am honored. No one is able to get through this life unscathed. For some it’s tragedy, for others it’s a lifetime of emotional hurts that were never healed. But for many, their brokenness becomes part of their identity without even realizing it. 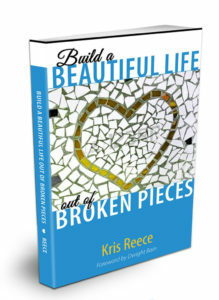 I share how God takes the seemingly broken pieces of our lives and builds something better than we could have expected. Most people long to live a life of passion and purpose but few have a plan. Rather, life is something that happens to them, bringing them to a place they wish were better. 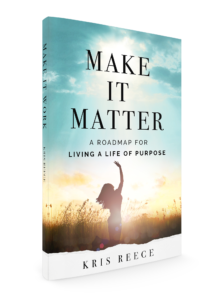 In this presentation, I take your audience through my three-step process to Discover their God-given purpose, Develop their passion and Design the life they’ve always wanted. In today’s world of constant comparison, it’s hard to imagine living a life that we love AND can be proud of. How do you get the desires of your heart met without compromising your values? 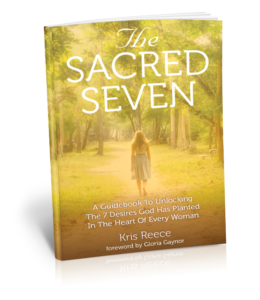 The Sacred Seven helps women to stop striving and learn how to get the desires of their hearts met God’s way. We all want more out of life. 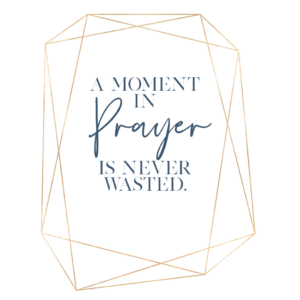 But how we reach for more can be the difference between everlasting joy or dissatisfaction. In this presentation, I share the importance of leaving behind the baggage, along with the practical principles to lay it all down and surrender to Jesus. This presentation will help your audience break free to their best life in Christ. Many people long to get rid of the negative thinking that is robbing their peace. They feel like they have a tape recorder playing in their head, repeating the same old patterns. In this presentation, I will share the practical steps to overcome the negative thoughts that keep you trapped in fear and selfdoubt. This workshop is a must for anyone desiring to win the battle in their mind. A personal phone consultation prior to your event, so as to understand how I can best serve you and your audience. I have been delivering dynamic, direct messages for the past 20 years. My messages aim to do one thing….change lives for the better. When I’m not speaking, I now devote my time to coaching, counseling and writing. The goal in all of my presentations is to be an effective change agent and to make the host (that’s you) look good! As a Christian Motivational Speaker, I speak to audiences both large and small, delivering messages of hope, saturated with solutions. If you want to check my availability or if you have any questions before proceeding further please refer to my Christian Motivational Speaker page. If you are a Corporation or Association looking to bring motivation and practical solutions to your group, please refer to my Personal Development Speaker page for my most requested topics. I really liked how Kris gave both inspiration and practical solutions to her talk. I’ve experienced speakers who are all talk and no show and others that are too factual. Kris has a balance that I really appreciate. She’s funny and honest. I’ve never encountered a more vulnerable speaker. I walked out feeling empowered. I couldn’t get enough of her. 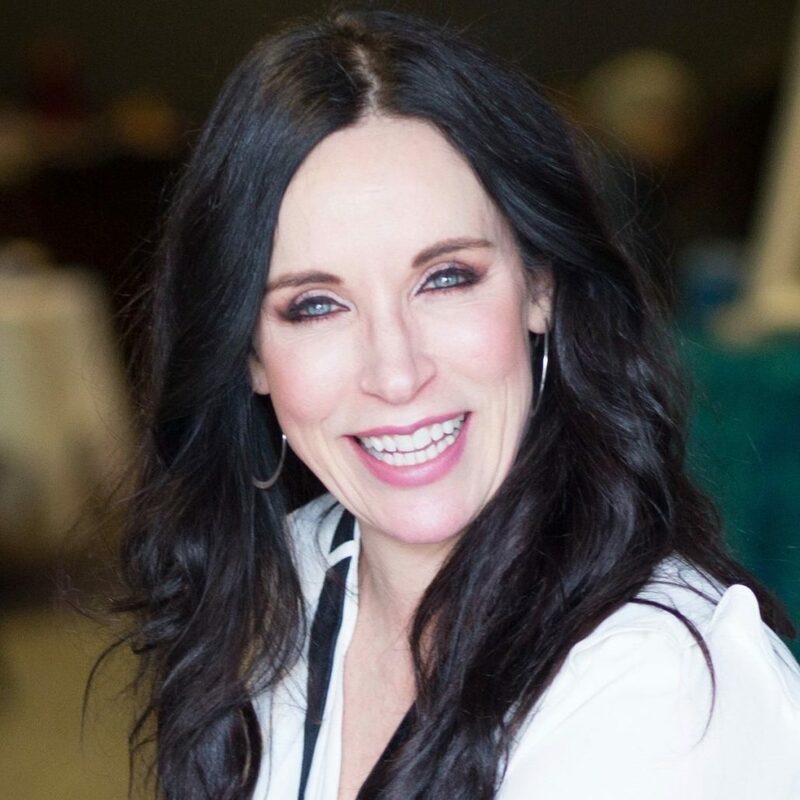 Kris Reece is a communicator who challenges audiences with passion, humor and a rare level of vulnerability that always will exceed your expectations. She has an incredible ability to know exactly what to say and then how to say it in a powerful way that will transform thinking and behavior. I highly recommend her. Your workshop had amazing feedback. Kris Reece speaks for our conference center frequently and we love having her back every time. She brings a joy and a love for our attendees.. Her messages are always powerful and transforming yet refreshingly transparent and down to earth. Can’t speak highly enough of this professional speaker. My husband and I were so blessed by this marriage retreat. Our marriage had been broken prior to coming to Tuscarora and now we are putting God first in our marriage and have learned the differences in our temperaments are ok and we can better respond to each other knowing the differences… thank you! !